The new issue of Inscape magazine just came out. 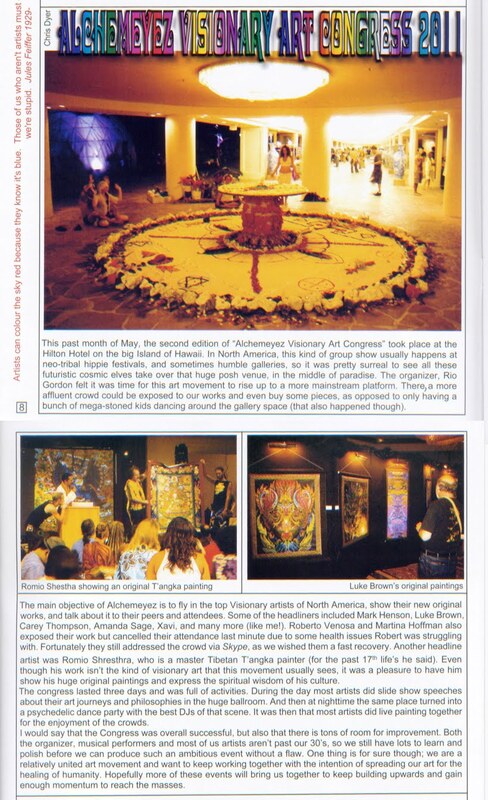 This is the European Visionary art magazine of Europe, coming out of England by the Society of art of Imagination. In it there is an article I wrote about the Alchemeyez Festival that happened last May in Hawaii. My words are honest and pictures good enough, so check it out if ya can! !